Your home spa would not be complete without including a massage chair in it, well you can also say that no living room feels totally complete without a massage chair. This why we’re giving you a comprehensive and complete guide that will help you choose the best massage chair available in the market today. However, if you will not be able to read the whole guide, there’s also a brief video (a little over a minute long) which outlines the 5 major reasons why you should purchase a massage chair for your home spa. You might be wondering which the best massage chair on the market is at the moment. When looking for a massage chair, you should have two things in mind; first, which one of them is the best and which of the best massage chairs you can afford. Below is a list of some of the most popular models and top brands that will help you choose a massage chair that suits you. Since the attitude of such products can be a bit subjective, we used real customer reviews and listings for Amazon.com to make the recommendations as universal as possible. The BestMassage EC-06 is a very affordable massage chair that comprises of features that would normally be found in more expensive products. The features include; zero gravity feature, Shiatsu massage function (this feature is very expensive and is mostly available in hotels), rolling foot massage, waist heating, the quality of its build and silent operation. The chair also offers an L-track system. This refers to massage rollers which move up and down the spine and sometimes they move further down to the buttocks area. Customers said that the chair is very therapeutic and it also helps to soothe the pain caused by rheumatism. Given its great price range, most top massage chair lists are normally capped by the BestMassage EC-06 model. 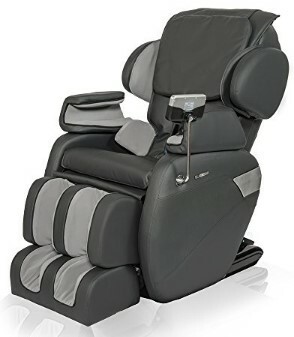 This Zero Gravity Shiatsu massage chair is popular selection for homes and modern offices as well as wellness centers. You shouldn’t be surprised when you find this chair in your regular spa. This mid-range massage chair comprises of solid features such as a Zero Gravity Shiatsu which has 3 positions (zero gravity), body scanning, L-track rollers, deep tissue massage and an in-built heating system. The Zero Gravity Shiatsu chair also has a bonus feature, it is lightweight and you’ll be grateful for this when you want to rearrange the living room. Read our full review of the chair. The Ideal Massage Shiatsu Chair comprises of a great array of futures at an affordable price. The features include; customizable massage durations which range from 5 to 30 minutes, 3 zero gravity positions, body scanning, 14 different massage combinations and 4 massage functions namely Spinal Roll, Shiatsu, Knead and Vibrate. The massage chair also comes with an in-built therapy function that helps soothe sore and tired muscles. If you can’t afford to spend a lot of money to buy a massage chair for your home spa, the Ideal Massage Chair is a good alternative. 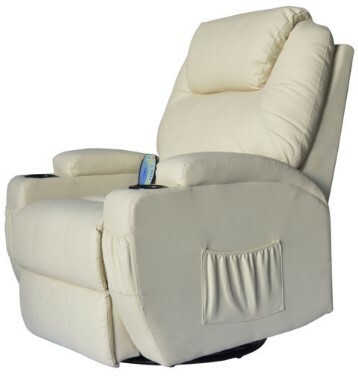 The BestMassage Shiatsu Recliner offers you with serious relief for your buck. The chairs zero gravity function is advanced and designed to provide you with comfort and therapy. It also has heated seats which are great for soothing pain and aches. The long rail will provide you enough stability when the chair is in recline position. 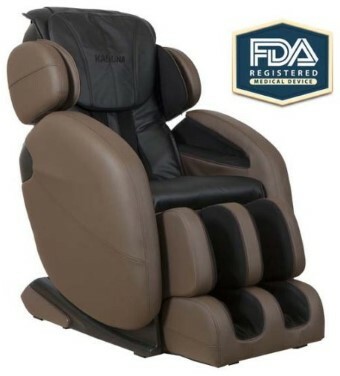 In addition, the massage chair covers a large massage area with an OPTO sensor that covers different body types and sizes as well as roller scraping which is meant for the whole foot. 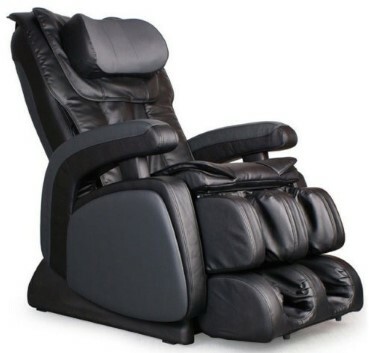 If you are taller or larger side, the BestMassage Shiatsu Recliner will suit you well. 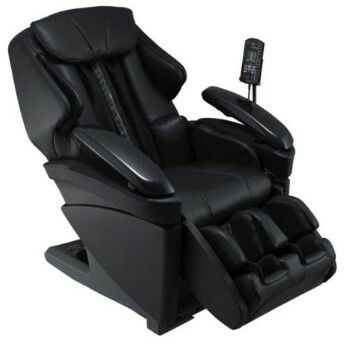 The Osaki OS-4000T massage chair isn’t as cheap as the other products found on the list. Given its quality of design, features and assemble, the chair can be a very solid investment plus it will function for several years without any mishaps. Also, purchasing a very reputable brand like Osaki ensures that you have peace of mind unlike the cheaper brands which might not be as kind. 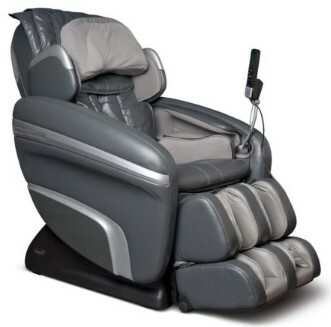 The massage chair has numerous features such as body scanning, 4 massage functions, a zero gravity system, 5 massage presets, 30-inch roller strokes, calves and soles massage and 48 airbag cushioning that covers almost the whole body. Unlike the L-track rollers found in BestMassage EC-06, the Osaki OS-4000 comes with an ergonomic S-track. The Human Touch brand is known to manufacture quality budget massage chairs (the company is on a 6-year winning streak in competitions for Design Excellence). “Quality” and “cheap” are words that are not often associated but this brand managed to this quite well. The iJoy-2580 is time-tested and has been proven to be an excellent massage chair that will serve you for a long time. The massage chair’s best features include whole body healing and 3 automated programs meant to promote relaxation. Unlike the normally bulky chair, the iJoy-2580 massage chair is very light and takes up less space. 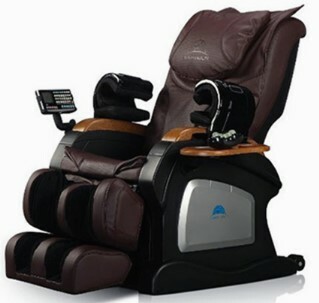 The Inada Sogno Dreamwave massage chair can be viewed as the most expensive brand on the top 10 list. If you budget doesn’t limit you and you don’t minding a little more on a great massage chair, this product is highly recommended. 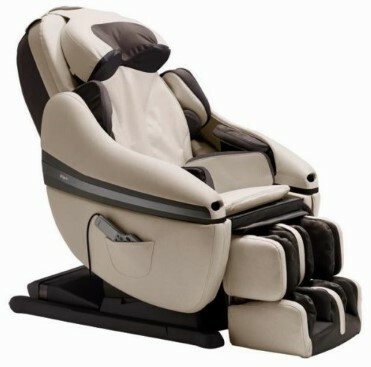 The Sogno Dreamwave is made by one of the best massage chair manufacturing companies in Japan. They are popularly known for their high quality product as well as the great after-sales services they provide. The main features include a1200 square inch massage coverage for the whole body, 8 pre-programed sessions, 1000 massage combinations (or more) and an advanced sensor scan. The massage chair has been created using the highest quality standards and you will hardly come across someone who has anything bad to say about the product. Read our full review of the chair here. The Authentic Beautyhealth Shiatsu massage chair is an averagely priced product that comes with a wide range of features which are normally found on highly-priced brands. The features include a 3D back scan, foot and calf massagers, 2 intensity levels, 24 different kinds of massages and massage duration of up to 30 minutes. On the other hand, Beautihealth Shiatsu doesn’t have an in-built heat function. It however comes with a Jade heat hand massager that is excellent at locating problematic parts of the body. Since most customers prefer a massage chair that automatically generates heat while they relax, this chair isn’t quite as passive as expected. 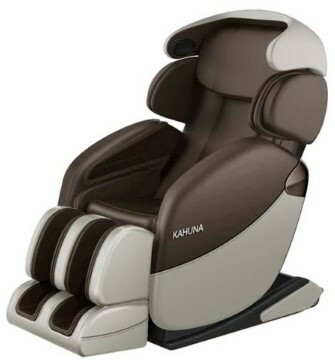 The Kahuma LM6800 massage chair is a very capable and complete model. It comes with 2 zero gravity positions, an L-track massaging system, foot massage, body scanning, 4 automated programs that have 3 intensity levels and a 30 minute Yoga program which is the best feature. The other thing that makes the LM6800 stand out is that it can accommodate very heavy and tall people. This is normally an issue that is common with the other brands in the market. Generally, for its great price, you’re guaranteed to get a good deal for quality and features. I bet you never though that a massage chair priced under $500 could possible make it to a top 10 list! Alongside the Human Touch company who are popularly known for their range of quality and affordable products in the market. Thanks to Human Touch, you no longer have to worry about your tight budget because you can enjoy the comfort of a little massage chair that offers you a great experience. The best features of this chair include a FlexiGuide Orbital Massage which targets your spine as well as muscular structures. The product will quickly alleviate pain in tired or strained muscles through vibration and deep massage. Depending on the amount of money you have set aside in your budget, find out how much you can spare for a great massage chair and begin shopping for chairs that fall under the price range. If you’re looking for the best massage chair and you don’t have a limited budget, don’t look any further. Although this list is short, it includes the crème de la crème of quality massage chairs available in the market. If you go for any of these massage chairs, believe it or not you’ll have a very happy family, spouse or roommate. 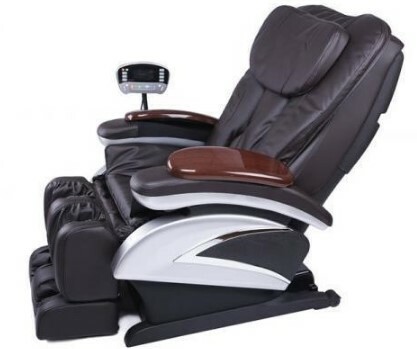 One of the all-time premium massage chair models is the Inada Sogno Dreamwave. 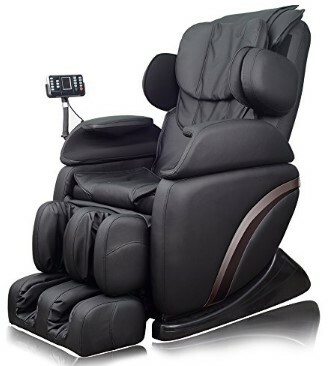 This massage chair is manufactured by a Japanese company and it is very popular choice and it always makes it on most of the top 10 Best Massage Chairs lists. Apart from Inada Sogno Dreamwave, there are 4 other exceptional models that fall under the premium massage chairs. Let’s preview them. The EP-MA73 is among Panasonic’s massage chairs that fall under the higher end scale. 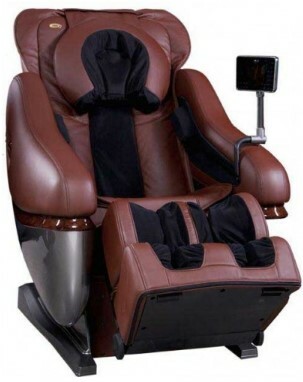 With this chair, you’ll be getting excellent quality as well as features from this Japanese brand which is popularly known in the massage chair industry for their great quality products. The feature that makes this chair a little unique than the others that fall in its class is its 3D Ultra Kneading technology which applies shiatsu and acupressure to ease aching muscles and work out knots in the body. The chair also has a foot massage, heated head and hand massage. Like most massage chairs, it wasn’t designed with NBA athletes in mind. This means that if you’re over 6’2”, you’ll have to look for another massage chair like the iRobotics 6. If you don’t mind purchasing American brands, the iRobotics is the perfect massage chair for you. This is the first robotic massage chair to be designed and assembled in the US by the Luraco Company. The chair’s customer support is also based in the USA plus you’ll be able to purchase it after speaking to a human being instead of the regular internet websites. As indicated by the name, the premium massage chair operates using a propriety intellectual robotic massage systems. The modes which are specially designed are drool-worthy. Although the robots are American, they have been trained to accommodate the best massage techniques from around the world. The modes include a Swedish and Japanese functions as well as other modes know as healthcare, morning, night and deep tissue. This is an amazing massage chair that is great for relaxation, stress-busting and pain relief. The product was also designed with height and leg parts that are adjustable so that it can people of any size and height. Read the full review of the massage chair. 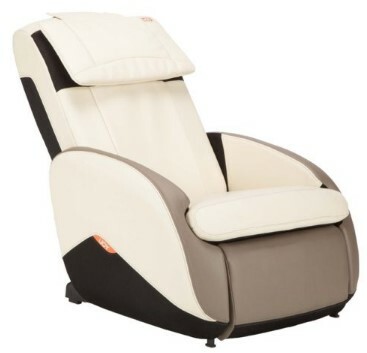 The Iyashi Zero-Gravity massage chair comprises of all the mandatory features found in a premium chair including 6 auto massage programs, 2 zero gravity positions and an advanced design. The chair’s most outstanding feature is its massage rollers. Being 49” long, the product is believed to have the longest L-track of all the massage chairs available in the market. The longer roller reach means that you’ll receive more massage coverage up and down the spine. The Infinit Iyashi massage chair also has one of the best in-built speakers. If you are a true audiophile, you’ll enjoy and appreciate the quality of the speaker the chair has. The EP-MA 70KX is a premium massage chair that has real Pro Ultra Full Body 3D with Heated Massage Rollers that are multi directional. The chair’s double heated rollers motivate hot stone therapy which is ultra-relaxing meant for relaxing aching and tense muscles as well as improve lymph and blood circulation. The Panasonic EP-MA 70KX might be a bit expensive but you sure of receiving a realistic and highly therapeutic massage experience. There are only two massage chairs that fall in this category. The Panasonic EP30007 model is a limited edition which is manufactured in Japan. 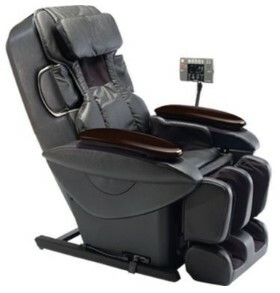 The massage chair comes with all the features required of a premium chair, and ultra-modern design and a Junetsu massage advanced technique. The Junetsu feature is a Panasonic trademark which offers ancient Japanese thumb roll massage technology to the massage chair. Did you know that this massage chair is approves by the American Chiropractic Association? This means that the chair is highly recommended for pain management and therapeutic uses. Of all Panasonic massage chairs that have been reviewed in the past, the EP30007 model is the best version. Another pro is the chair is available at an affordable price unlike most of the products of the same class. However, this limited edition isn’t easy to come by. Read our full review of the chair here. 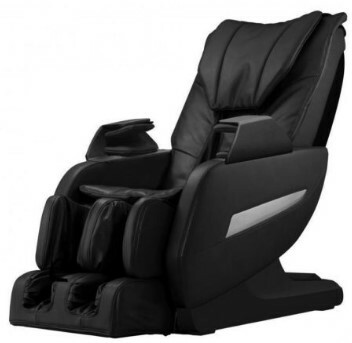 The Osaki OS-7200H massage chair is the latest model from the Osaki brand. The Osaki massage chairs are very reputable because of they deliver great therapeutic massages to their customers at an affordable price. 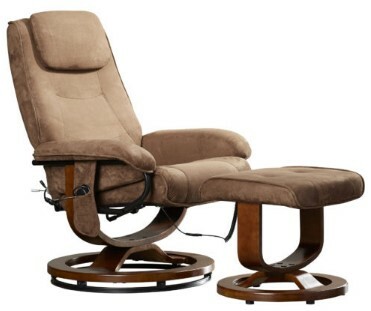 The chair has the required features meant for premium chairs, an additional 5 strength settings that offer mild to deep massages, heat for relaxing muscle tissues around the lumbar area, an air system which banishes fatigues and promotes circulation and a sleek frame similar to the one on Inada Sogno Dreamwave. There are some great picks for this category. Interestingly, the Inada website has this quote included on it: “Self-Evident Truth #6: There are no god massage chairs out there for less than $2,500”. 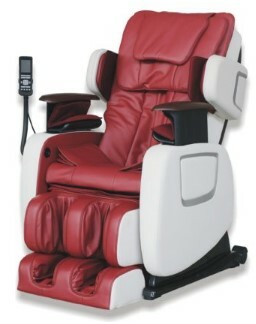 The Osaki OS-4000T massage chair is the most popular model in this category. Just like the Inada Sogno Dreamwave model, there can’t be a complete top 10 list without including the OS-4000T on it. The massage chair model definitely made it to our list. If you can still remember the very first time you came across the Kahuna LM-7000 massage chair, I bet all you could think was “Now that’s some eye candy over there!” Apart from a beautiful design, the Kahuna massage chair also has some impressive feature including a customizable massage experience that enables you to adjust the roller, speed, width and airbag pressure (available for up to 3 levels). It also has a massage duration which can be adjusted from 5 to 30 minutes. There is an L-track roller system that goes up to the thighs as well as 3 zero gravity positions. You can purchase this product with confidence since it is registered by the FDA as a reliable medical device and it comes with a 5 year warranty as well. The Cozzia 16028 Shiatsu has been praised by many customers for its ability to provide an excellent massage experience. The massage chair is comes with special quad rollers similar to the felling of human hands massaging the body (the human-like is quite uncanny). The chair can be operated very easily because all you need to do is to press one button and you have complete access to a 7 massage sequence program. Although the Cozzia 16028 Shiatsu massage chair functions well, it still doesn’t include some features such as a shoulder, calf and foot massage so if these functions are important to you, you’ll have to look for another model. 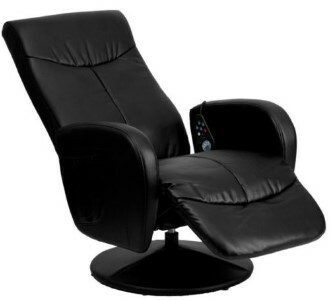 The Zero Gravity EC01 massage chair can be found at an affordable price range. Therefore the chair’s realistic massage experience and elegant design are quite a pleasant surprise. The product comes 8 massage functions and the most popular of them all is Shiatsu (which is great for relaxation), Percussion (meant to provide deep pressure massage) and Chop Action Tapping (meant for soreness). The massage techniques are meant to address stiff joints, taunt muscles, cellulite storage and bad circulation. The only drawback for BestMessage EC01 is that it doesn’t contain any heat function. The Full Body Shiatsu massage chair comes with 5 massage options, a less bulky frame, made from durable materials and is available at an affordable price. It works using a vibrating effect that is meant to improve circulation and help soften any thick fatty layers in the body. It also rejuvenates and relaxes the body. Due to its design, the Full Body Shiatsu EC-06 is not meant for people with a bulky or bigger body build. The chair is also not recommended to be used for casual sitting because the padding included is not very thick therefore the rollers underneath can be felt. This means that it can only be used as a massage chair. These types of massage chairs don’t have the kind of features that are found in the more expensive models, but they’ll still provide you with an excellent massage experience. Because of these low budget products, anyone can enjoy using a massage chair at home. The iJoy Active 2.0 massage chair will make you feel like a wee train in “The Little Engine That Could”. This is a very good model which even made it to the top 10 list for Best Massage Chairs. I know you can’t believe that there is a massage chair available in the market under $500 that could do this. This massage chair could. The HomCom Deluxe Vibrating massage chair is a well-designed model that comes with some basic features. The features include massages for 4 zones, five pre-programmed settings and a heated seat as well. The massage chair doesn’t have any rollers but it provides an invigorating vibrating massage experience. The Relaxzen 60-425111 massage chair is available at a little over $200 and can’t be expect to have similar features to those of the more expensive models. It holds its own quite well. It comes with 5 intensity levels, 8 vibration massage motors and a heating pad meant for the lumbar region. Some customers found the chair to be effective for soothing pain and it could help with back pain and arthritis. The chair is obviously not very perfect. Having being made in China, it tends to become a little noisy (feels like a phone vibrating on a table) and its swiveled base could easily tip you over when picking things from the floor. Apart from the chair’s manageable problems, it is the perfect pick for a low budget product. 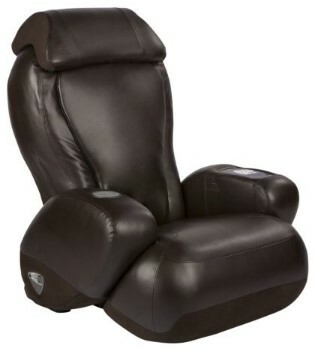 The Massaging Black Leather Recliner and Ottoman is the final product on the list. Just like the other low budget products, the massage chair has some basic features. They include vibrating massage, 5 programmed setting, a manual recliner and a light structure. 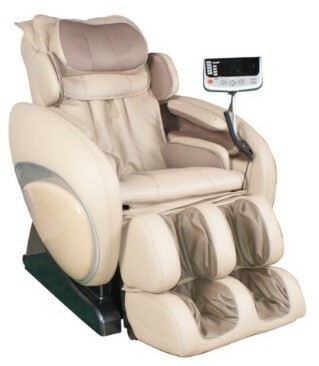 The vibrating massage function is very relaxing and it covers the entire back, thighs, lumbar region and legs. Since the product is available at an affordable price, offers a satisfactory massage experience and has quality assembly, a lot of customers go for it. In general, massage chairs have great long-term benefits to your mental well-being, health and sleep. When setting the budget for a massage chair, make sure you consider the cost per day for over five years.